Last week in class, I told many of you about my trip to Okinawa during Golden Week. I probably mentioned root beer, which is a kind of soda. There is a fast food chain called A&W in Okinawa, and they specialize in root beer. Well, this week I got a nice birthday gift from one of our students! It has the word “beer” in the name, but root beer is usually not alcoholic. You can find it in supermarkets and restaurants all across North America. 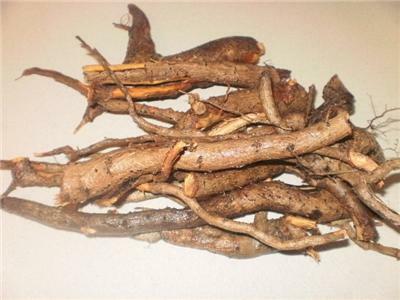 It was traditionally made with sassafras root (see the picture below) combined with many spices and flavorings, but these days it really depends on the company. Some of the most famous makers of root beer are A&W, Barq’s, and Mugs, but there are many others. Root beer is a little hard to find in Japan, but you can sometimes see it at import stores. A&W is relatively common, probably because of the Okinawa connection. I think I’ll go have one right now!